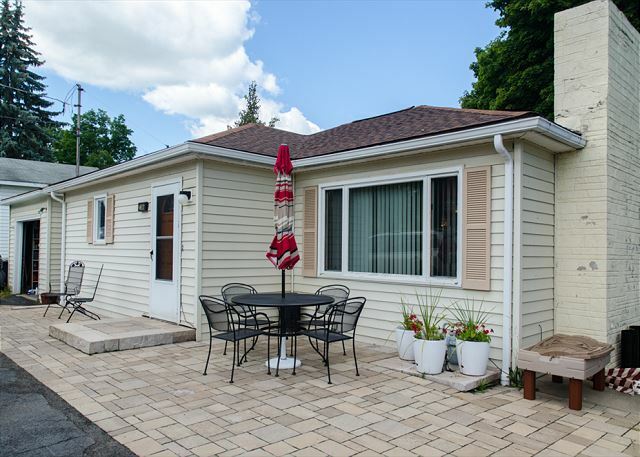 Come and have some ‘Fun in the Sun’ during your next vacation! 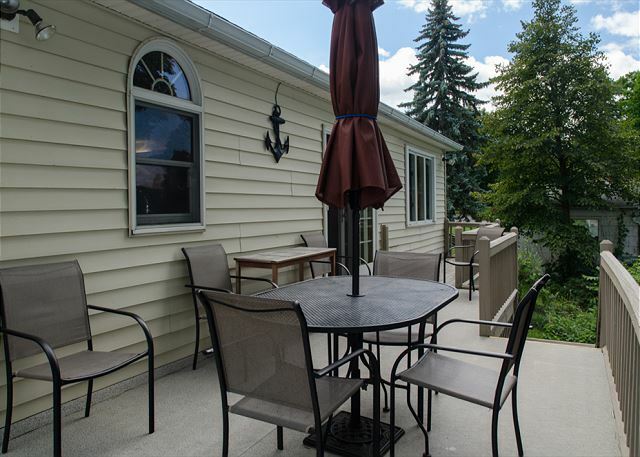 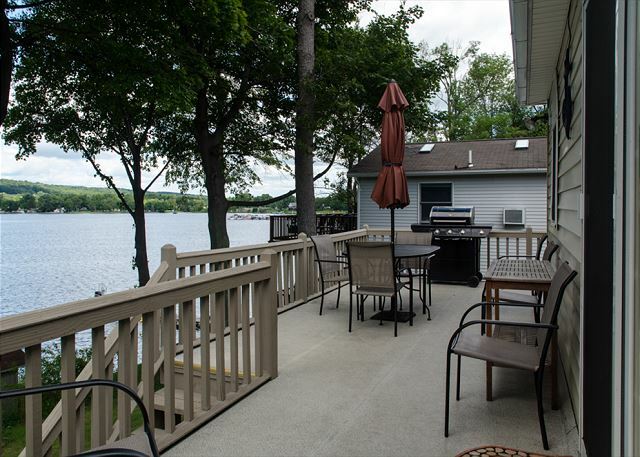 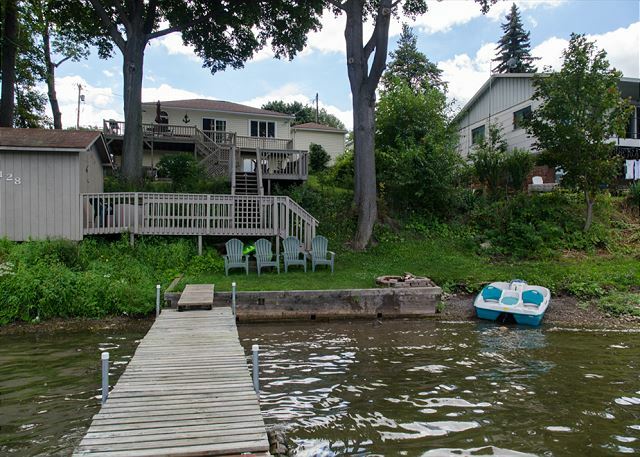 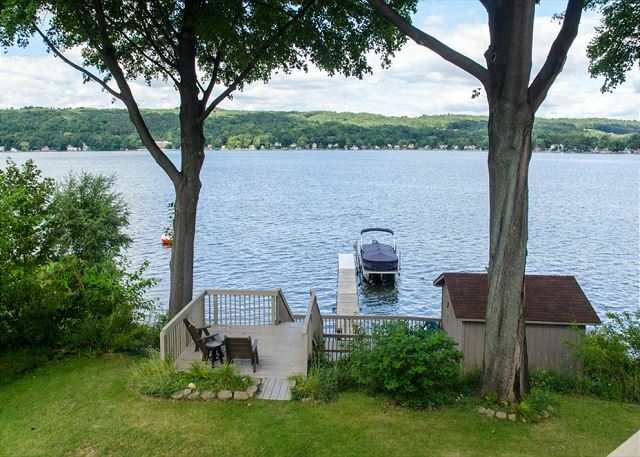 This beautifully maintained lake house is within walking distance to Penn Yan, Red Jacket Park & Playground, and Morgan’s Marine!The main entry from the parking area leads into the living area, which features an open floor plan for easy entertaining with the entire family. 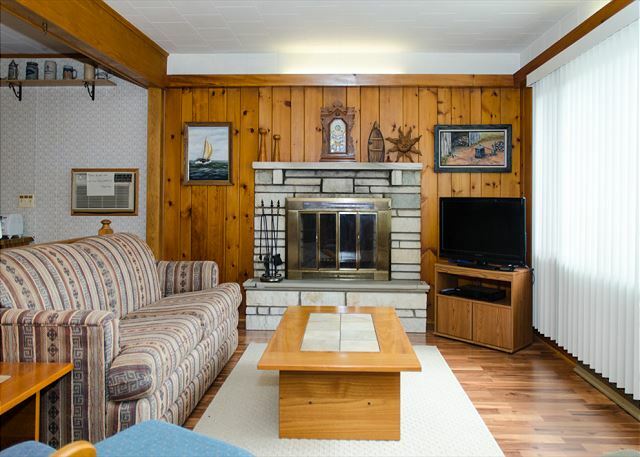 To the rear of the home is the living area, with plenty of seating for an evening movie, or just relaxing in front of the fireplace. 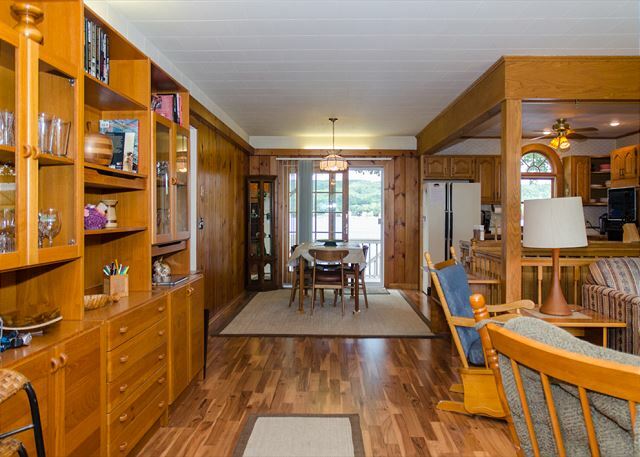 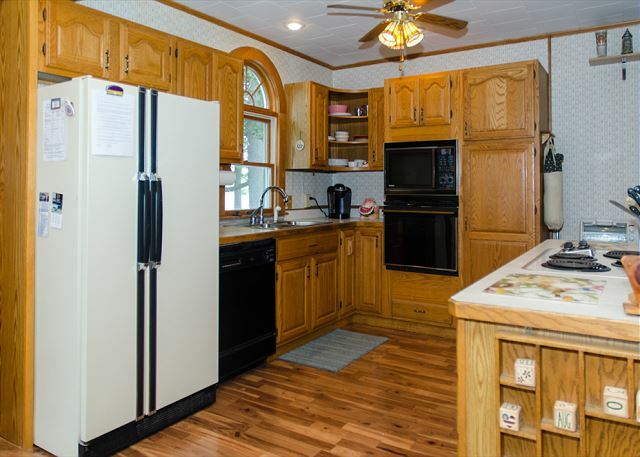 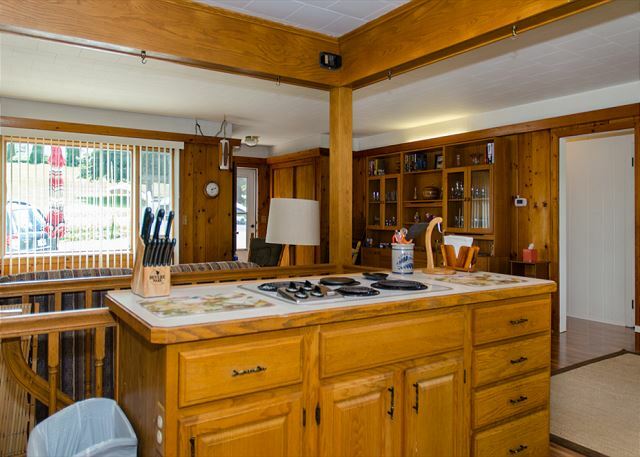 In front of that, on the lake-facing side of the home is the kitchen, with warm wood counters, dishwasher, and plenty of countertop space for food prepping. 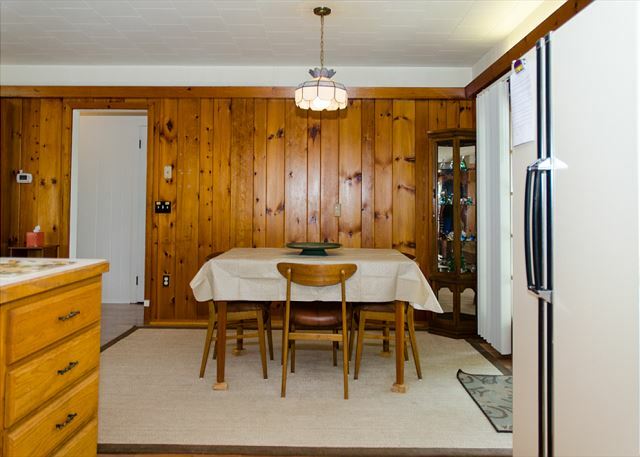 To the left of the kitchen is the dining area, with a table that seats eight. 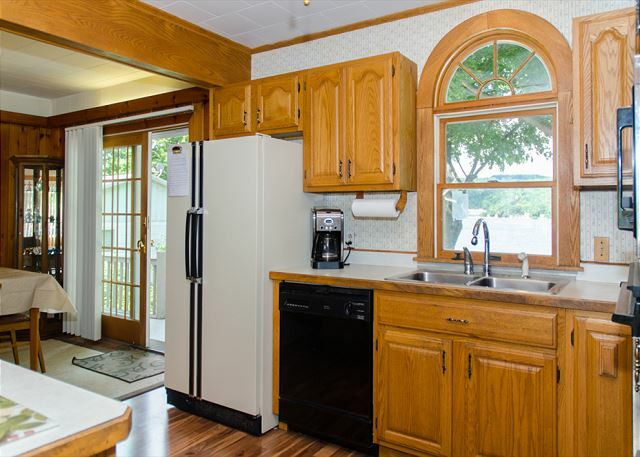 Off of the kitchen is a small hallway that leads to the two bedrooms, each with queen beds, and a shared full bathroom with a shower/tub. 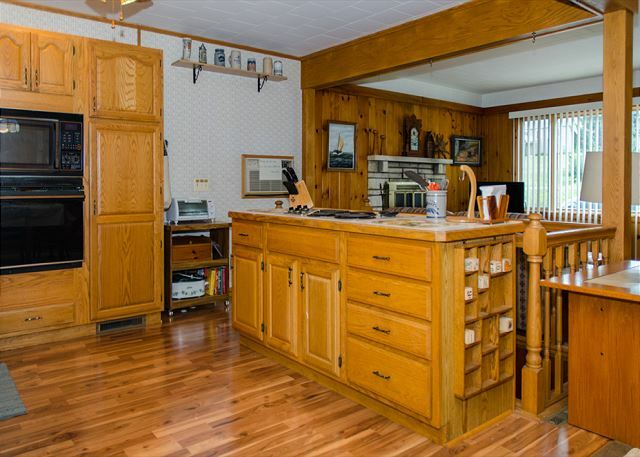 A staircase located between the kitchen and living areas leads to the lower level of the home. 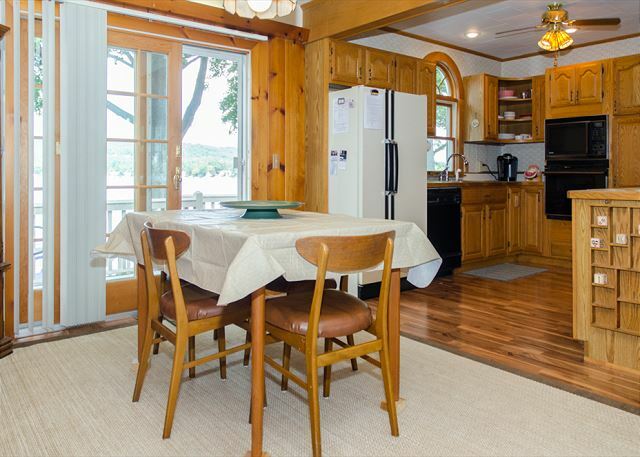 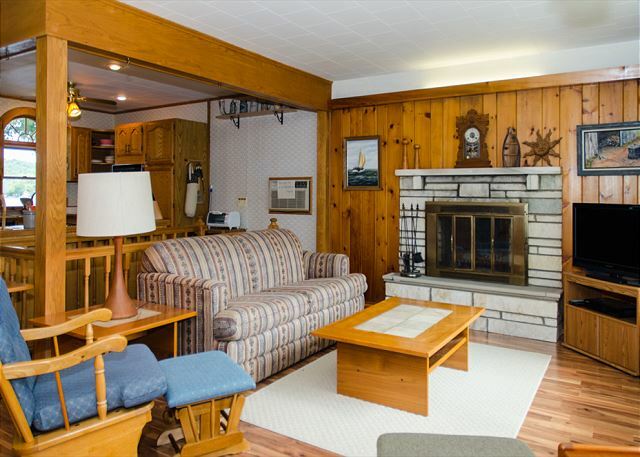 Here you will find a family room/den with a gorgeous lake view, two single beds, and a laundry area in the rear. 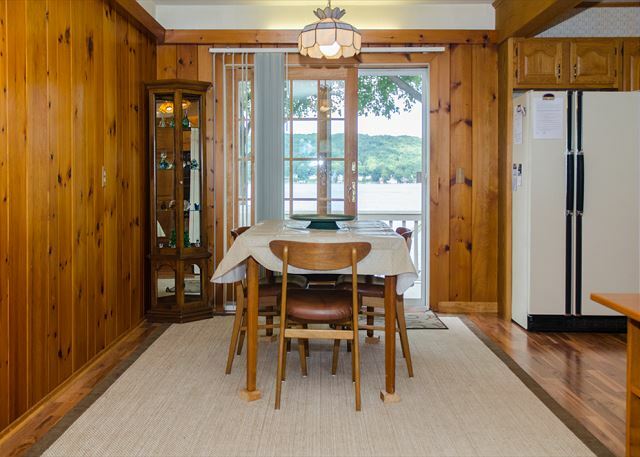 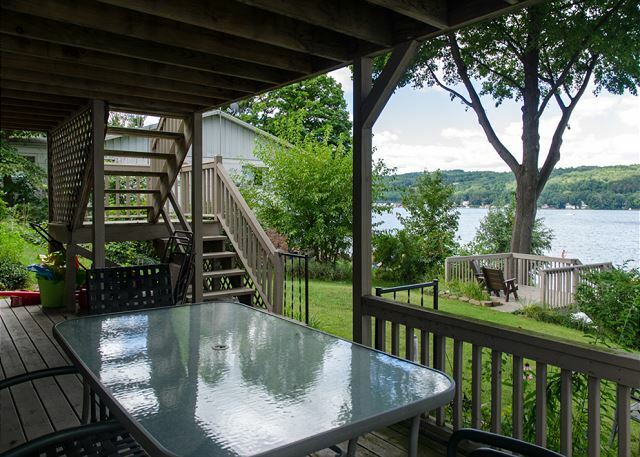 A third bedroom is also on this lower level, and features a queen bed with a view of the lake.The lakeside deck off the dining area is ideal for enjoying meals outdoors. 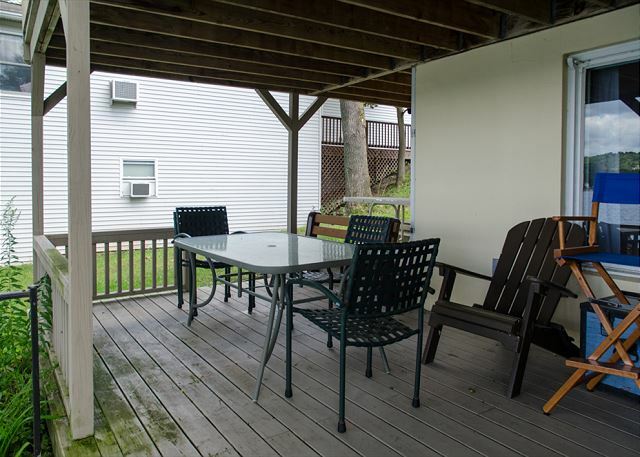 A small level yard is just before the stairs that lead to the beach. 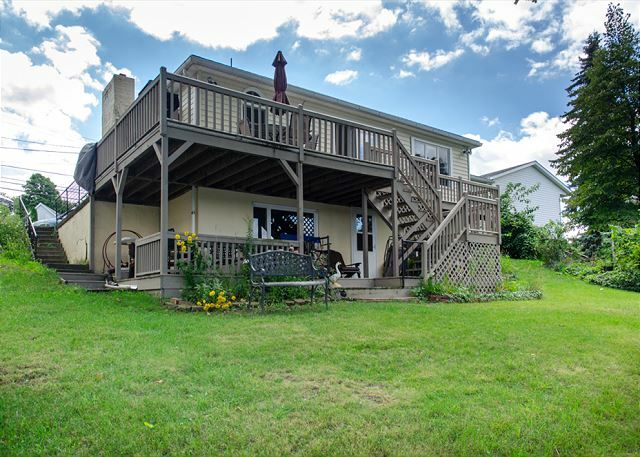 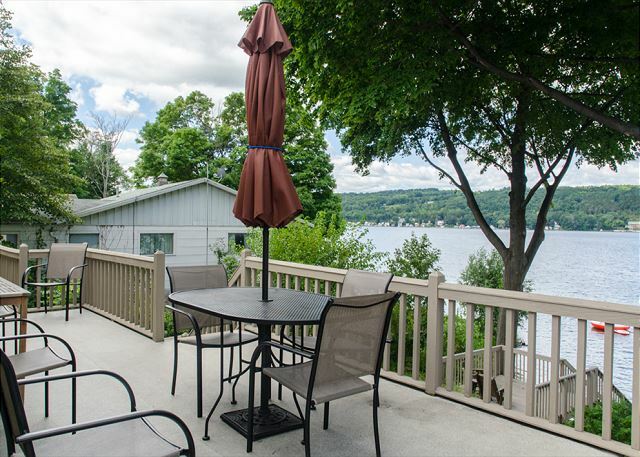 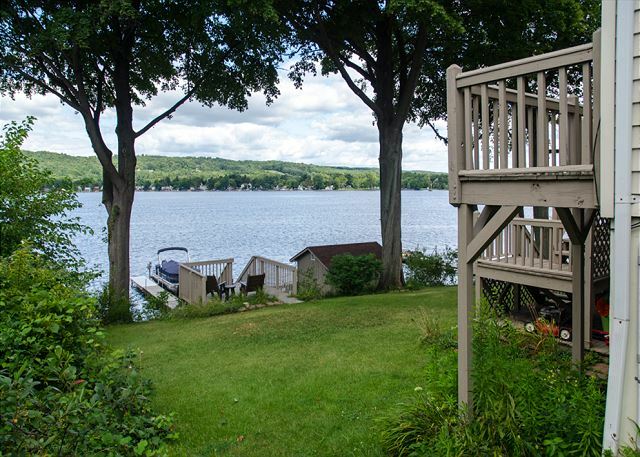 At the bottom of the stairs is a small yard for sitting and enjoying the sun, a seasonal dock off the break wall, and a small natural entry beachfront area that is perfect for children to wade into the waters of Keuka Lake.